The diversity of ways you can share your gifts and live into your faith. Great items at bargain prices! Enter through the Main Entrance under the Tower and down the steps to the lower level. The Church of the Covenant is located on the RTA HealthLine, Cornell Road stop. Free parking in the Covenant lot while shopping in the Cache. 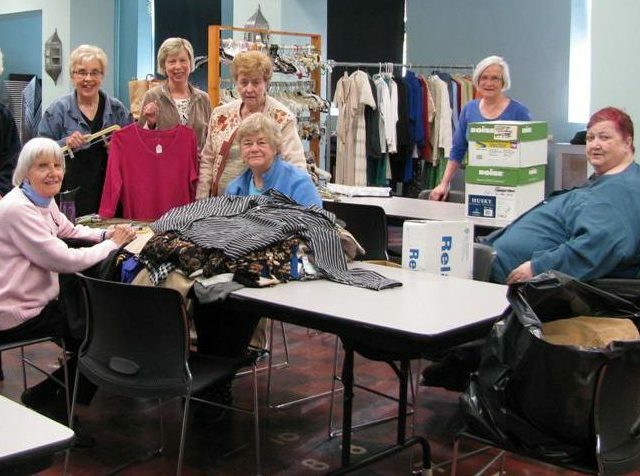 The Covenant Cache thrift shop sells a variety of household items, clothing, and other merchandise donated by church members and friends. Proceeds from the Cache help support Church of the Covenant programs and special projects. During its over forty years of operation, the Cache has attracted many satisfied customers, including neighborhood residents and University students, who visit on a regular basis. Consider volunteering with the Cache. Help sort and tag donations, respond to customer questions, and work at the check-out desk. Donations of clean, gently used clothing, household items, toys, books, and other smaller items are welcome. Call the church office at 216.421.0482 to learn more.